Wecome!—I hope you enjoyed the newspaper. Below is another project you might like. It tells the story of the lettering used with "Chronic Pain"
Within MassArt is a room housing thousands of fonts from the 1800s, known as the T.J. Lyons Collection. While you could view specimens online, visiting in person is a more rewarding experience. Interacting with the type engages your eyes and fingers simultaneously. Typography is tactile! These letters are inspired by No. 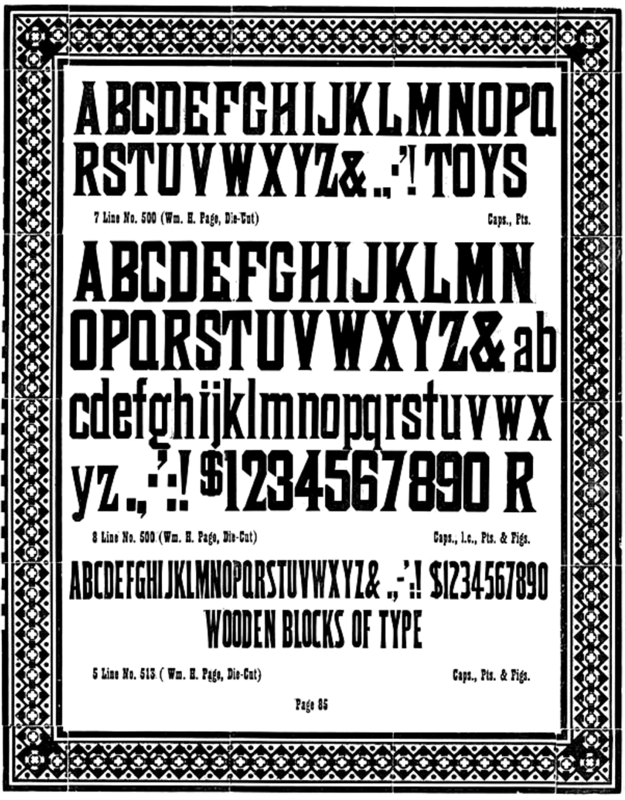 500—a font designed by William H. Page and George Setchell in 1887. The original can be found in 7 line and 8 line wood type, at the Lyons Collection. Through typography we learn about proportion, positive space, negative space, and systematic thinking. We even learn some math. However, the methods most often use today are centered around clicking, scrolling, and reading from a screen. We’re not engaging multiple senses or kinesthetic movement like our letterpress predecessors would have been doing. What if we took a different approach? What if design basics were taught with toys inspired by letterpress? Would this change the way our brains perceive and absorb info? These interactive letter forms were created to examine this question. The letters are transparent acrylic. The counters and letter spacing are set in neon. This puzzle is designed to help students see negative space, and engage with it in a playful experimental way. Neon-orange spacers in a variety of widths allow students to experiment with letter spacing. Proportions are based on letterpress standards. Shown here are 6/em spacers. Shown here are 4/em spaces (or the font size divided by 4). This provides students with the opportunity to learn some math through design as well. Specimen from the T.J. Lyons Collection at MassArt. Coincidentally, it contains the word "toys"! Happy surprise.